It’s one of my favourite (and busiest) times of the year again – yippee! The beautiful bluebells have begun to rear their heads and so I’ll soon be kickstarting my 2018 bluebell portrait sessions. 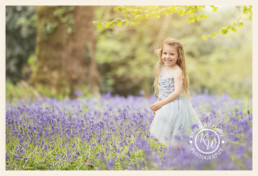 Why hire a professional photographer for bluebell portraits? Bluebells are an absolute joy to photograph, although are tricky if you don’t know how. If you’ve ever tried to take your own photos among the bluebell woods, you’ll have realised that it’s harder than you probably imagined! It really is a fine art balancing the delicate colours of the bluebells with the darker colours of the surrounding trees and woodland, while getting your subject and the delicate bluebells in sharp focus. Add in the fact that there are typically low light conditions in bluebell woods, and you can begin to see why, if you’re armed with only a smartphone camera and only a basic understanding of photography – you can struggle to achieve the images like mine. 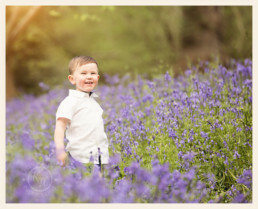 Which is why so many families every year choose to hire me and book one of my now infamous bluebell portrait sessions. 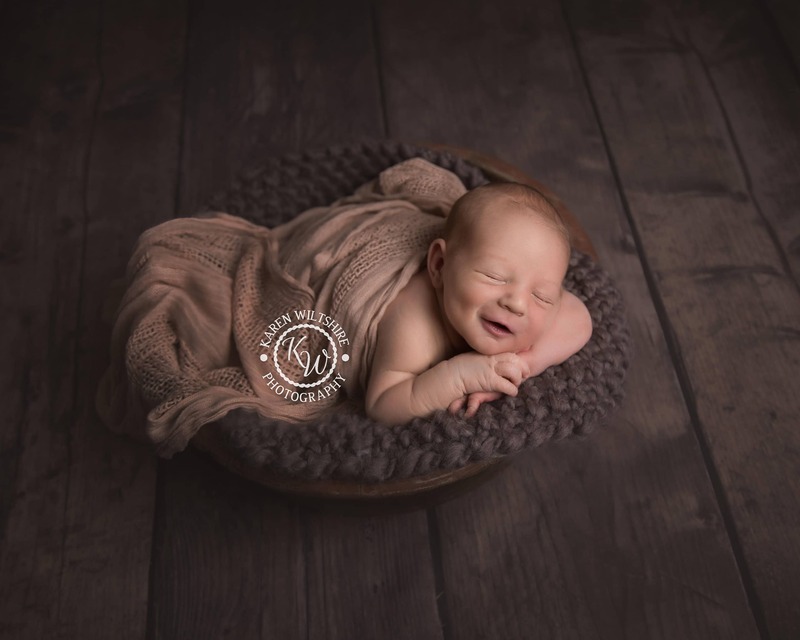 As an experienced professional photographer who is equally comfortable outdoors as I am working in my photography studio, I’m literally in my element photographing families among the outdoors during spring time. Another reason to hire me for bluebell portraits is that I seek out the very best patches of bluebells; usually well off the beaten track. My friend Jacky and I are often on the scout for new outdoor locations and so far, this year we’ve already discovered some lovely patches of emerging bluebells across Dorset and Hampshire which I can’t wait to take my clients to. Unfortunately, my favourite spots for bluebells in recent years have become more and more popular and the poor bluebells are getting trampled on by those who don’t realise just how delicate these pretty little flowers are. Did you know that bluebells take up to seven years to grow back after they’ve been squashed?! If you’re planning a visit with your little ones, please do remember how easy it is to damage the flowers. 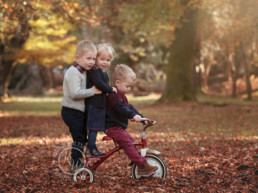 When you visit, please stick to the paths as much as possible and encourage your children to do the same. 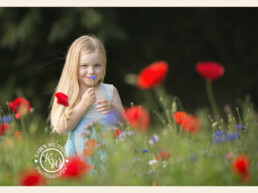 Book your bluebell portrait session today! 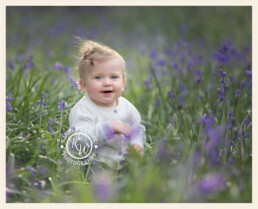 My outdoor bluebell portrait sessions are extremely popular every single year, and always sell-out quickly. 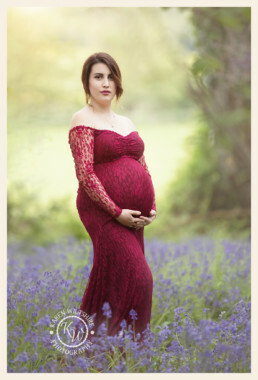 So, if you’re wanting some gorgeous maternity, child or family portraits among the pretty bluebells this spring, like the ones I’m showing here which were all taken on location last year, then be sure to get in touch with meASAP to secure your slot.